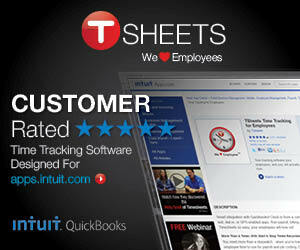 Hello and Welcome to the QuickBooks for Contractors blog by Sunburst Software Solutions, Inc. I wanted to write a blog for our business, but because developing and supporting software for contractors using QuickBooks in the commercial/government construction arena isn’t always what I’d call “fun”; I decided to make our blog theme rather whimsical and amusing. Hence our not quite what you would expect blog theme! We’ll use this blog to post tidbits that are difficult to fit into our main website – from news from the construction industry to bookkeeping tips and cool software tools, and we’ll try to keep them organized in “Categories”, while allowing visitors to make comments and interact with one another. “Stuff” No One Ever Told Me About – being a business owner presents many challenges, these are just some of them. “Stuff” That Drives Me INSANE – everybody has “stuff” that drives them INSANE, these are mine. Bookkeeping Tips – bookkeeping tips for one and all. Construction News – news headlines about the construction industry. Cool “Stuff” – Ok, so I admit it, I LOVE software…here are some very cool software tools. QuickBooks Corner – QuickBooks Tips, Tricks, Errors, other other QuickBooks related news that doesn’t seem to fit anywhere on our main site. The “Sunburst” Website – discuss “What’s New” on the Sunburst Software Solutions, Inc. website. American Recovery & Reinvestment Act – components of the ARRA and how they affect contractors. New Technology – Windows 7, new versions of QuickBooks, our software and other software programs that we use in our own business. Poke around and enjoy…..feel free to leave a comment if you’d like; all comments will be reviewed and approved before they are published and I do reserve the right to delete spam and just out right garbage. This blog is NOT intended to be used as a support mechanism for our software!